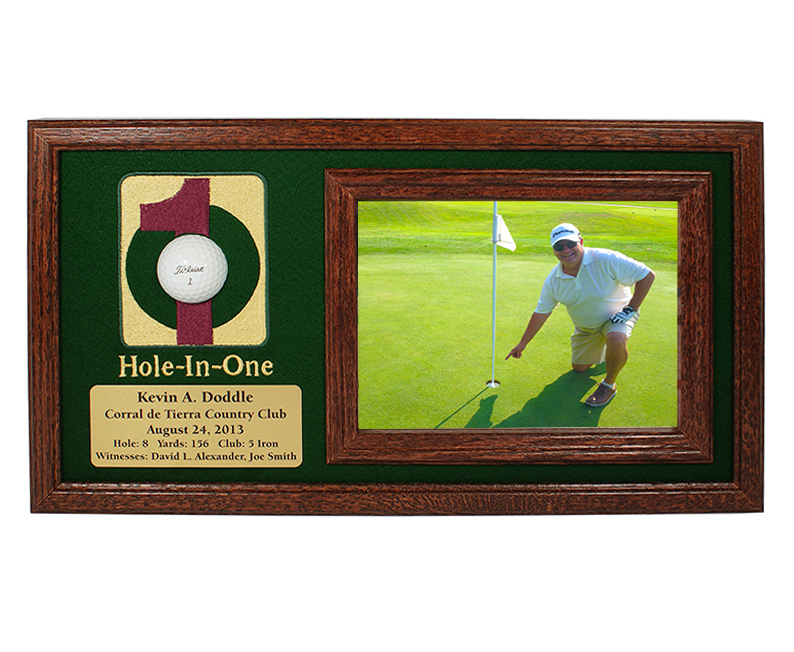 This attractive framed display has the "Hole-In-One" logo embroidered into the background. 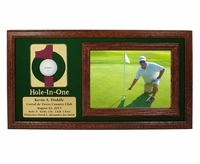 Place your Hole-In-One ball into this foam backing and insert your photo into the inner frame and you are ready to go. A brass engraved plate is provided. Available in a Dark Walnut or Cherry finish. Inner frame holds photos up the 8" wide x 6" high. You can either choose to install your own photo or email it to us, and we will print on our high resolution photo printer and install for you. Photos can be emailed to office@holeinonetrophies.com. If your card size is 12"W x 5"H Click here to see other style.